Fewer people are dying in violent conflict (both in absolute figures and as a proportion of the total population of humans) than at any time since World War II. It is hard to believe this amid the flood of images and stories of violent death (state-sanctioned or otherwise) in countries like Mexico, the United States, Burundi, or Syria. 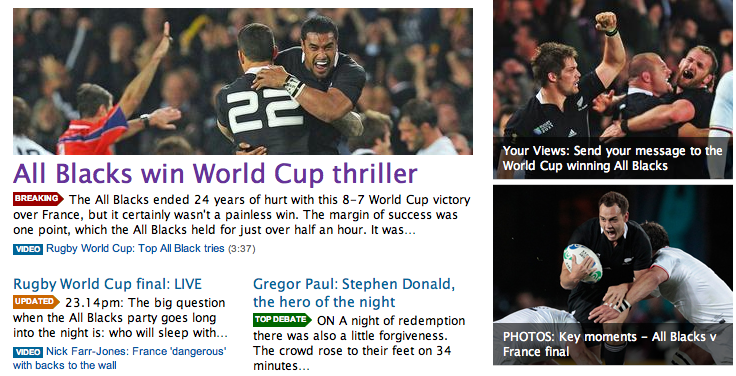 New Zealand just won the rugby world cup after a 24-year wait. The other finalists, France, put up a most spirited fight. The final score was 8-7. I wish the Boks had gone all the way but for the next four years the All Blacks will be worthy world champions. Emperor Bokassa (of the Central African Republic/”Empire”) ranks high among Africa’s worst dictators. 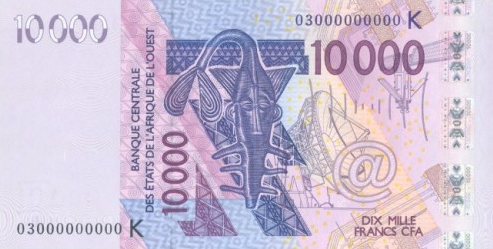 For his coronation as emperor of the Central African Empire he spent half the national budget (with the assistance of the French, of course). 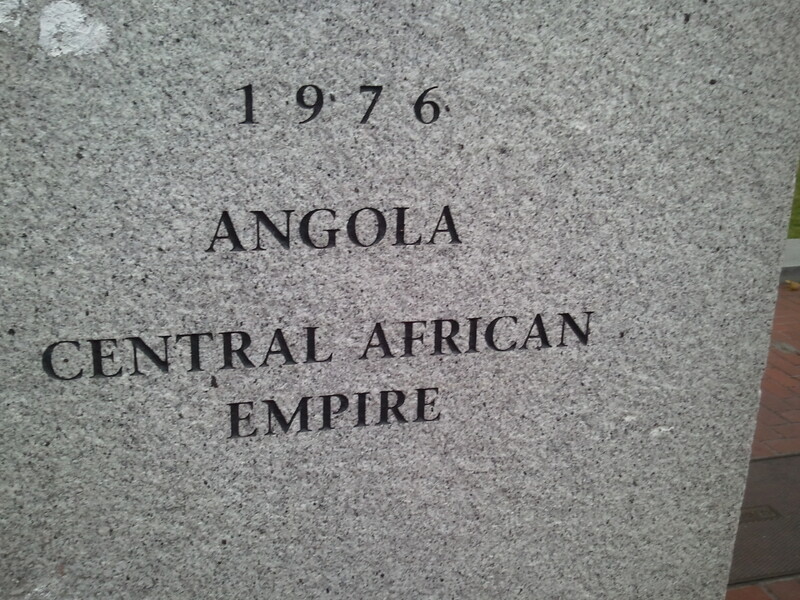 This afternoon I once more encountered his colossal error which remains immortalized at the UN Plaza in San Francisco.